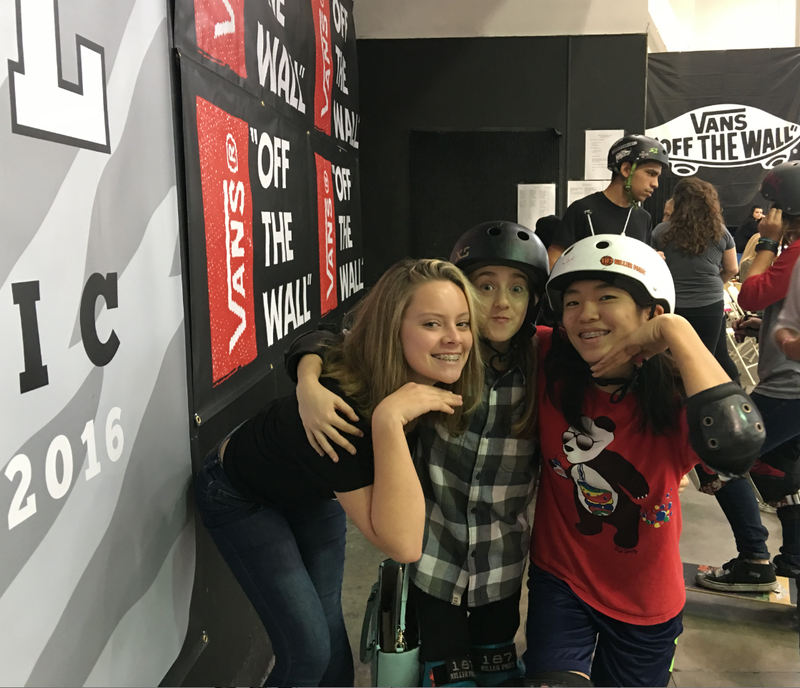 Yesterday, I went to Vans Girls Combi Pool Classic 2016 at the Vans Skatepark in Orange, Ca – these are my highlights. Warning if you’re looking for the stats – facts on who competed, where they placed, how big the bowl is, amount of the prizes – not going to be in this post. And don’t rely on Don Brown’s IG. 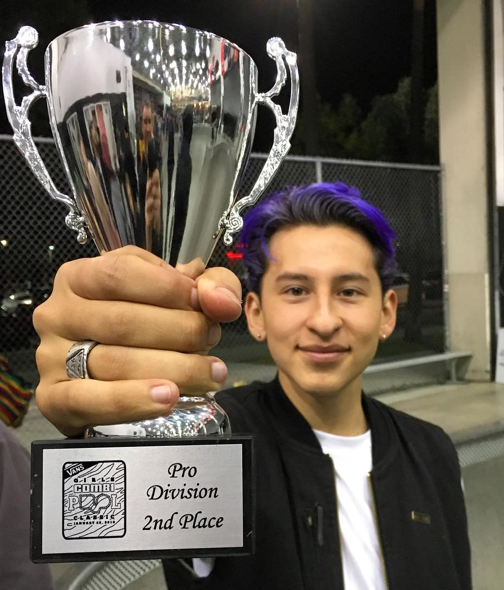 Daniel Vargas had the best purple hair at the event. I admire people who compete. I gained so much self-confidence the two times I competed at Girls Combi. Believe me that is a serious pool that requires a lot of skill and practice. The girls who competed put so much time in and are so disciplined it amazes me. What also amazed me was the support and inspiration at this year’s competition. I’ll begin with Don Bostick, as the driving force behind World Cup Skateboarding he creates a stage for skaters. That is important because more people skateboard when they see people skateboarding. 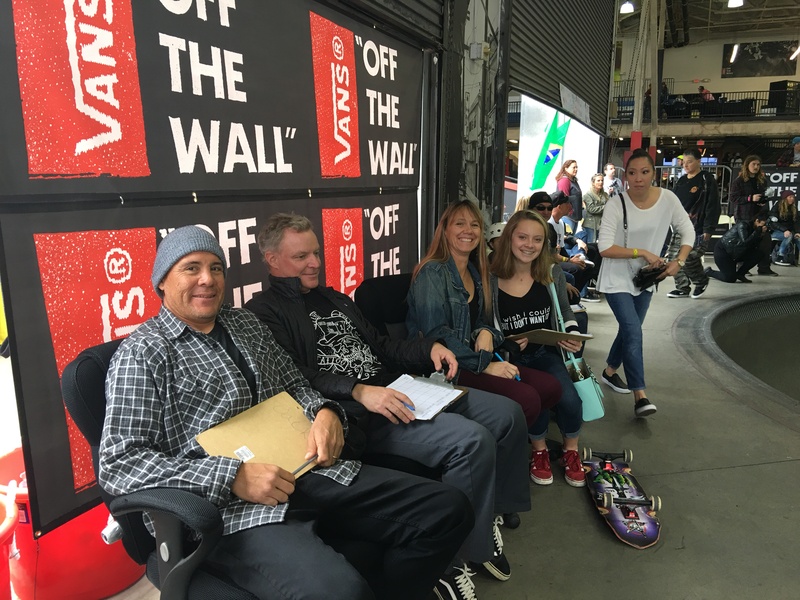 Thank you Don and Vans because without you there wouldn’t be an event or this blog post. 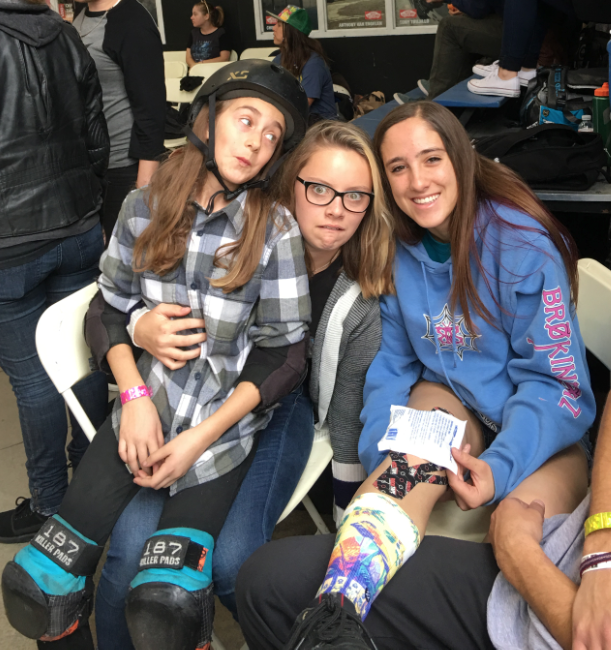 A skateboard event like Girls Combi feels like a party because you get to interact with the athletes. 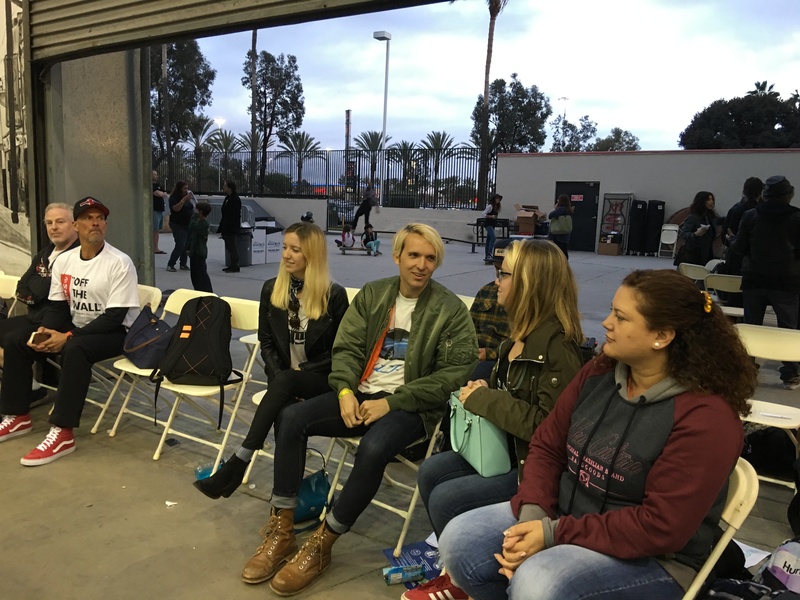 There’s no going on the field or sitting on the bench in football, but at Vans anyone with a bracelet – they have to limit space there really is only so much room – regardless of what kind of bracelet is at the party. Thank you mom – camera mom for most of these pictures. My mom doesn’t skateboard, however, she is my biggest helper on my mission to get more girls skateboarding for fun and keeping it fashionable. Here I am with Minna & Michelle who both competed and did awesome in the 14 and under amateur category. And here I’m still with Minna and Flying Arianna, who’s inspired me since I first saw her skate/fly at Exposure 2013. 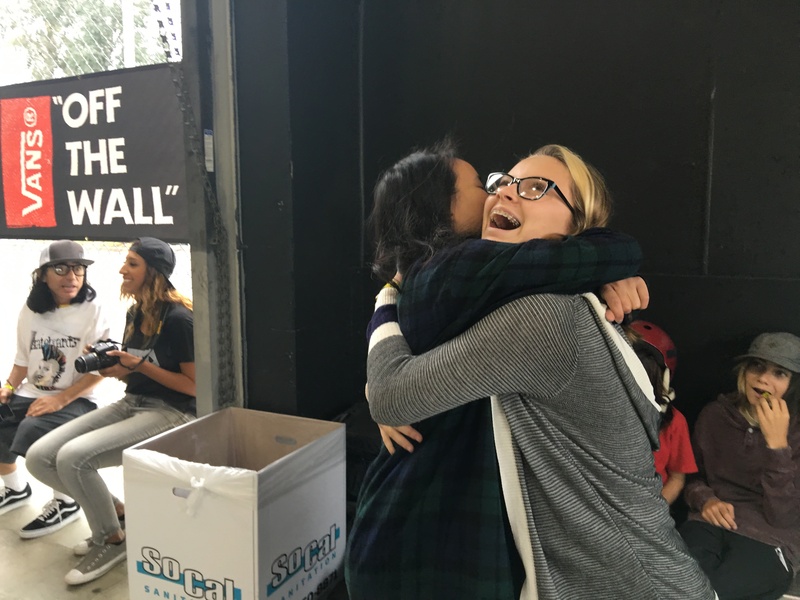 I was beyond excited to run into Courtney – my counselor from Woodward West this past break. I then caught up with her and Krystal from Shop 3 Thirty who’s always being the rad she wants to see and donating back from every sale. I love this post from Brielsk8grl – who at four years old inspires so many that #girlscanskate by sharing her skate pictures. She’s with Julz, Alana, Leticia and Matt. He works 24/7 supporting girls skateboarding through Silly Girl Skateboards. Who produces one of the best beanies out there as seen on Briel. Here I’m with Julz founder of Julz Skateboards. At my first combi event two years ago, Julz amazed me with her skateboarding now she’s amazing me by riding her own signature board that she created as part of her own brand #girlboss. Speaking of creative girls who started their own successful companies – I got to catch up with Cindy from Girls is NOT a 4 Letter Word. 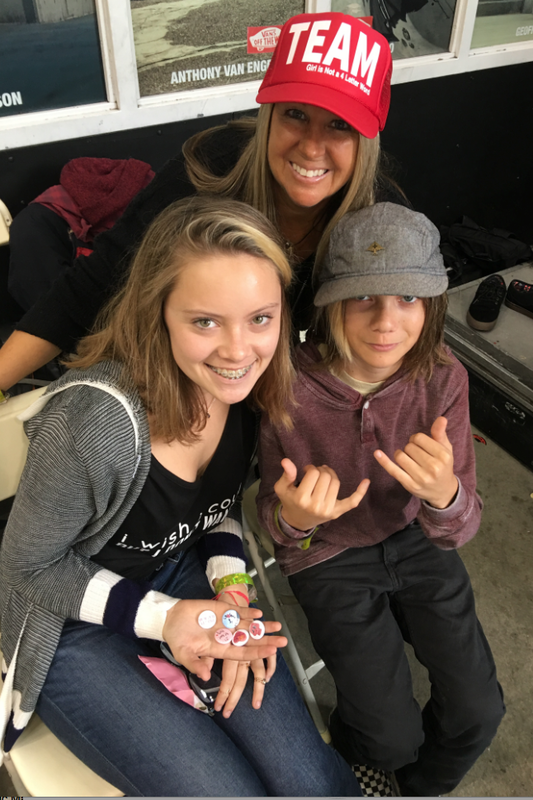 Cindy sporting her new Team hat and super excited that four of her team riders were competing – took the time to show me and Jack (aka Spicoli Films) the new GN4LW collection of pins. Zoom in or just go to her site because these pins are fashionable and inspirational. Vans brings the food to the party. Yes there’s a bbq and best of all there are Oreos. Thank you again Vans. And thank you to the judges. Jean Rusen, Mike Taylor and Aaron Astorga. 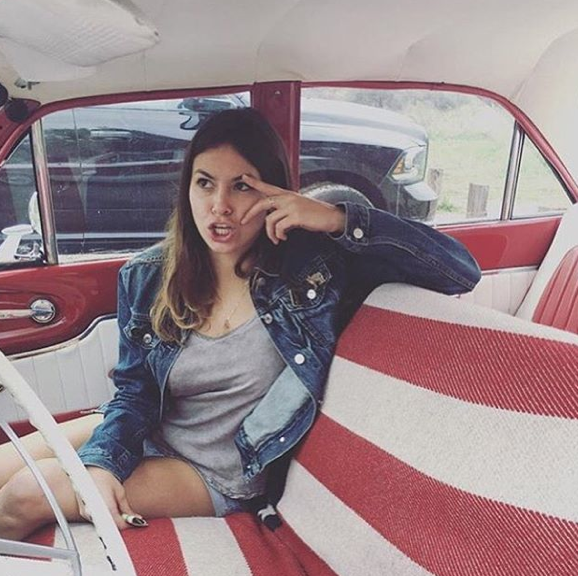 Jean Rusen aka Calamity Jean – is so inspirational as OG Betty says she’s a Classy Broad. Jean started skateboarding at 25, sponsored at 35, and won a Pro event at 44 proving you can start skateboarding at any age. I know Aaron from volunteering with him at EXPOSURE Skate plus he’s a master ramp builder – having hooked up my friend Gui Khury. 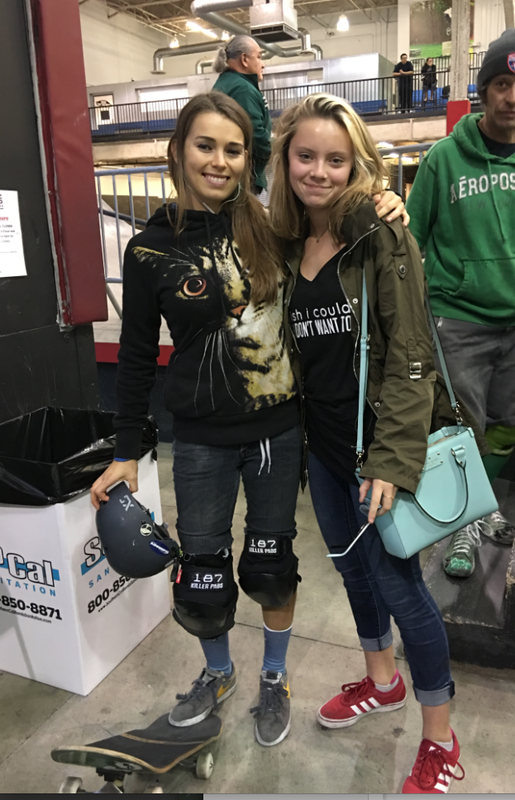 Speaking of Exposure Skate – a non-profit dedicated to empowering women through skateboarding, I got to strike a pose with Amelia Brodka. She’s the founder of Exposure, the maker of the documentary Underexposed, an Arbor Girl plus she just finished a fashion shoot. I’ve always looked up to Amelia and now she’s in Teen Vogue and I couldn’t be happier because more girls skateboard when they see stylish girls skateboarding and so many will see the csiriano campaign shot by sophiabanksc. I’ve written before about how I love and respect companies like Active Ride Shop, who employ real skater girls in their ads and look books. And I’m always excited when I find more companies to thank like RVCA Womens and MovieTickets.com who have Nora as an advocate. More girls do skateboard as they see girls skateboarding. Girls will soon have more skater girls to see when Carrik releases his next music video. I can’t spill the details yet I’m just excited that girls skateboarding is getting more visibility. 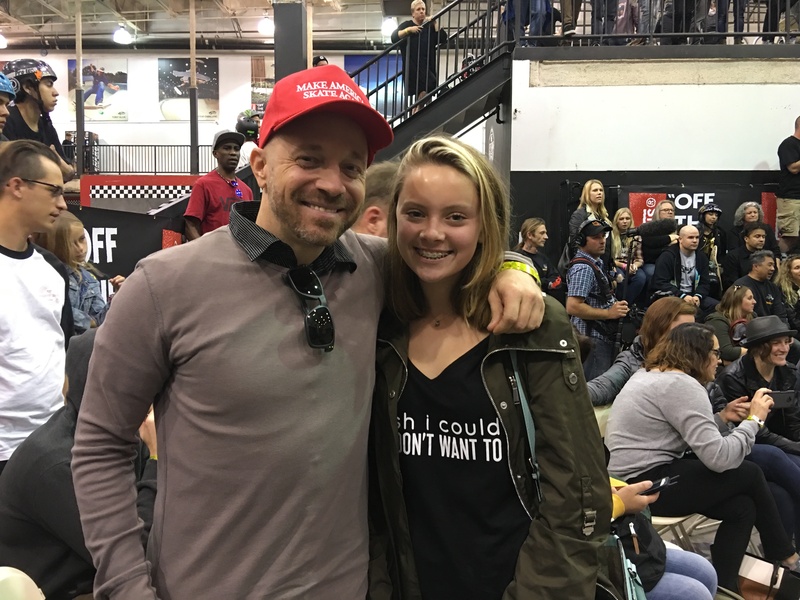 Another brand that showcases girls – and I don’t immediately think of them as a brand but as a destination is Camp Woodward. 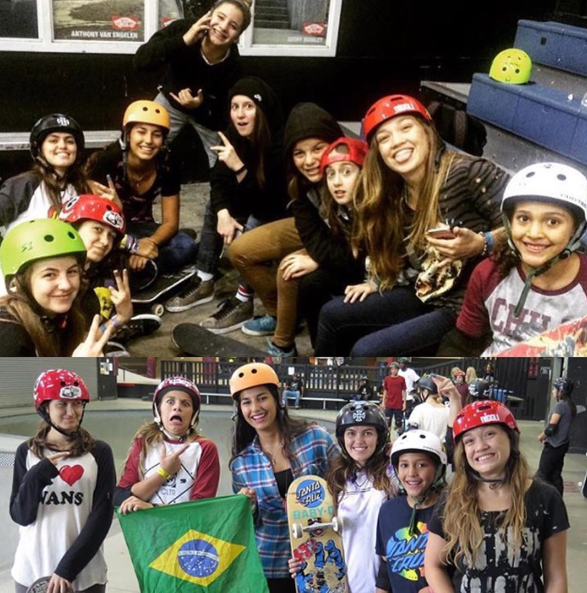 Thank you Camp Woodward for girls’ skateboard week at your camps. 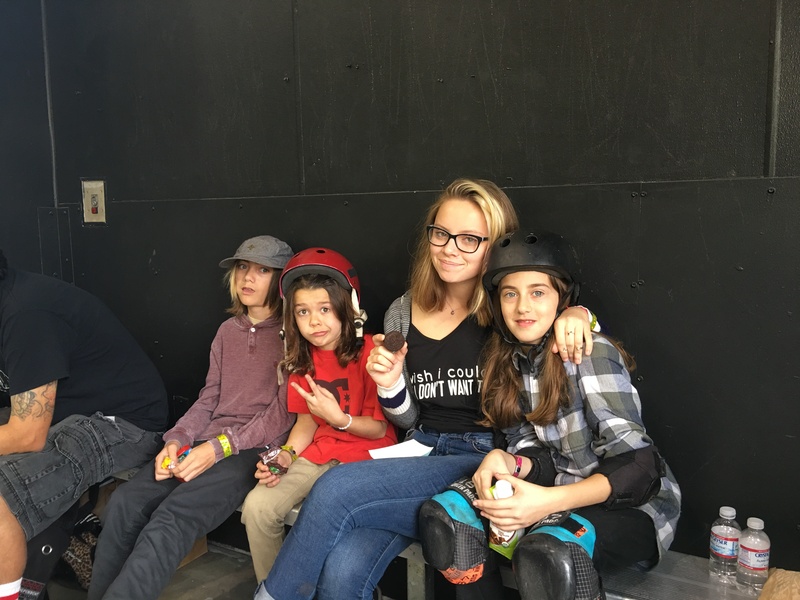 I totally enjoyed skateboarding with the Hoopla Crew last summer including Alana, Hunter & Nicole who skated in the pro category at Combi. Plus on Mondays the world can watch new episodes of brand new pro Brighton on Woodward TV Season 7. Here I am with Neal Hendrix, Brand Manager at Camp Woodward, who make it all possible. And here I’m with Vinton, the founder of 187 Killer Pads – the knee pads I and many of the athletes at the event wear because they work. 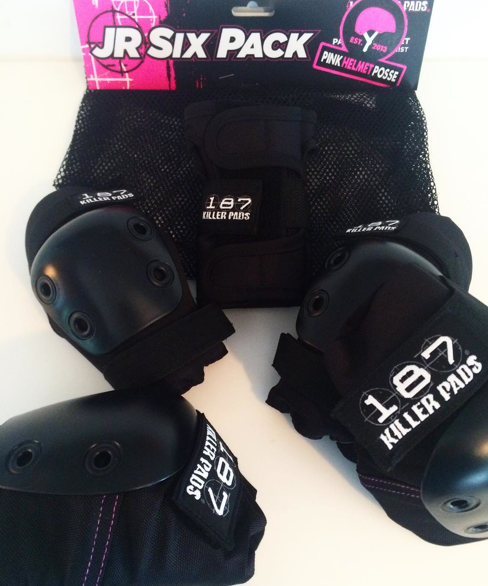 Killer Pads doesn’t make me think of pink – but Vinton’s team they do pink – they do any custom pad you can think of. The pads they partner with the Pink Helmet Posse are especially eye catching and perfect for smaller knees. I mentioned earlier that you’re never too old to start or keep skateboarding. You’re also never to young. 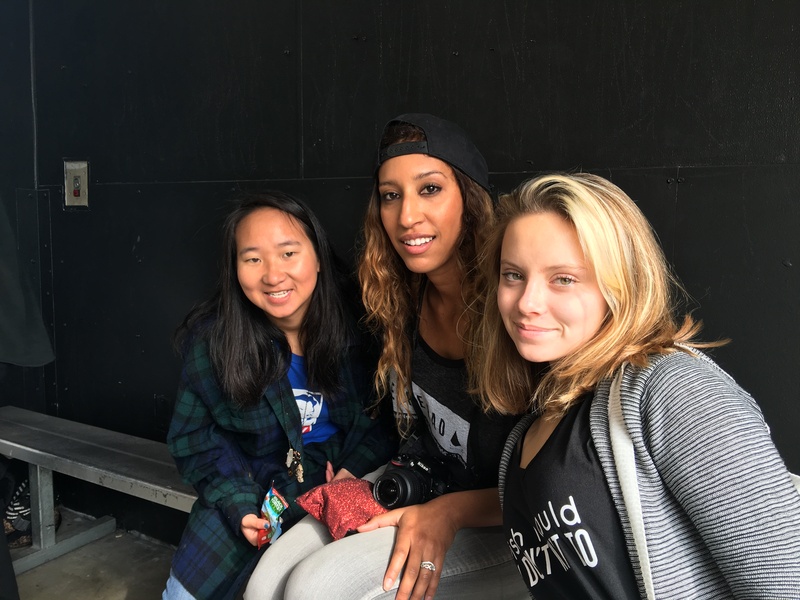 Two of the most inspiring girls I saw skate where from the Pink Helmet Posse – Bella & Relz. Other inspirations to me were the girls who traveled from all over to make Girls Combi an international event. 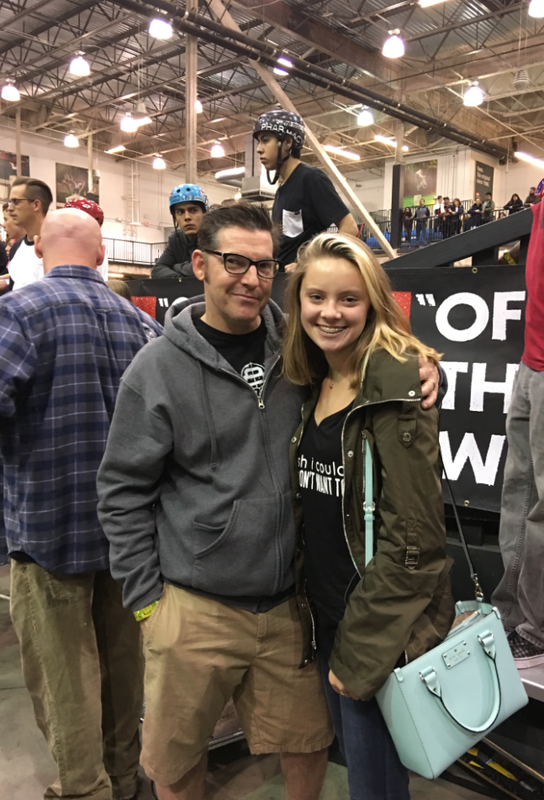 From Jordan who came from Texas shredding her Hosoi Board. to Thais Gazarra and other girls who came from Brazil and beyond. 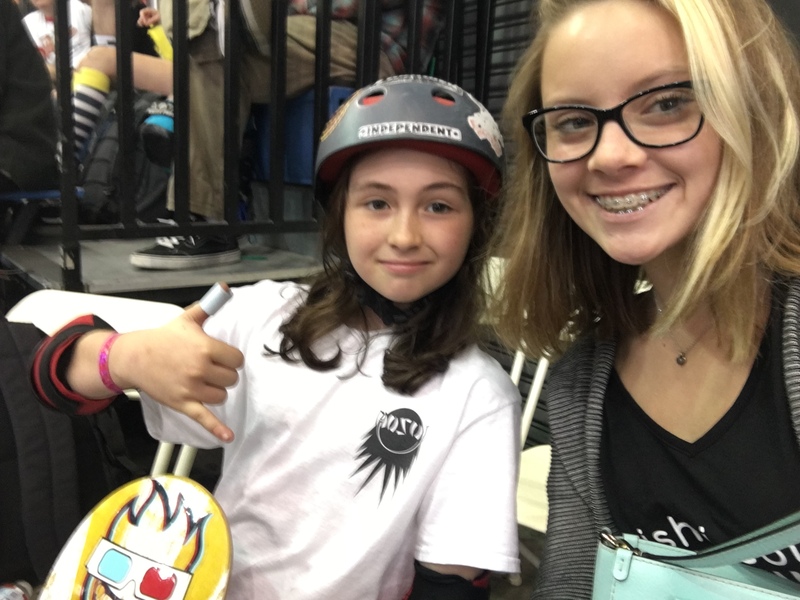 Girls are skateboarding around the world and as they continue to show their pictures and stories more girls will skateboard and gain the benefits – skateboarding is sport and art. To me it’s rolling yoga – regardless of your board, level, style you will gain balance and self-confidence. I’m grateful to have found skateboarding and now have the opportunity to share it while also having the opportunity to pursue my other love fashion. So here it is the best outfit at Girls Vans Combi 2016. I cannot visit the Vans Combi Pool without checking out the store. 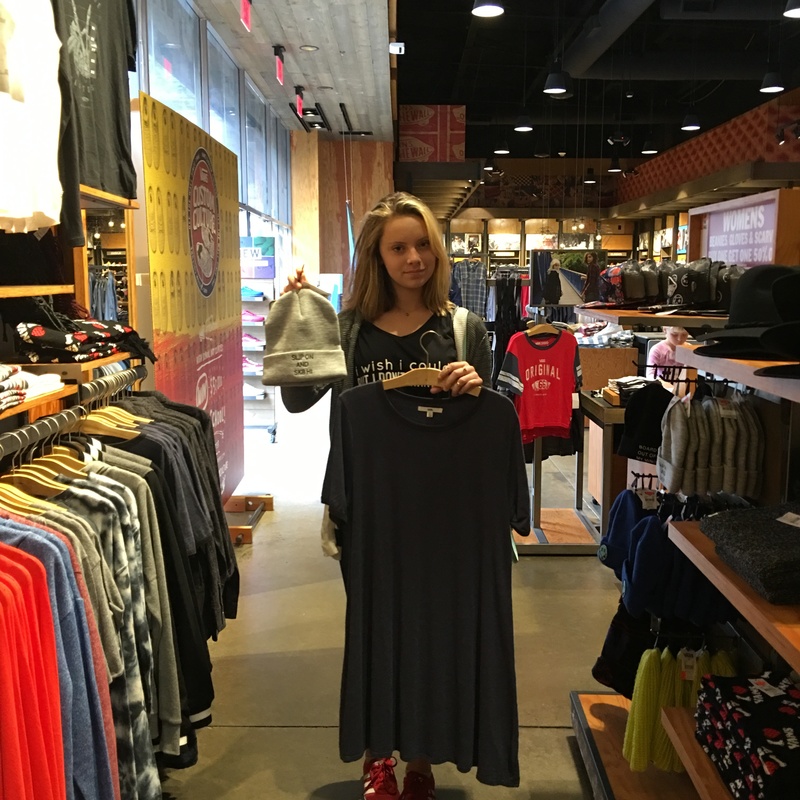 That’s where I found a perfect t-shirt dress, while not practical for skating the pool – it’s a must have for your closet. And don’t forget the beanie – a must have for helmet hair plus it’ll keep you warm. 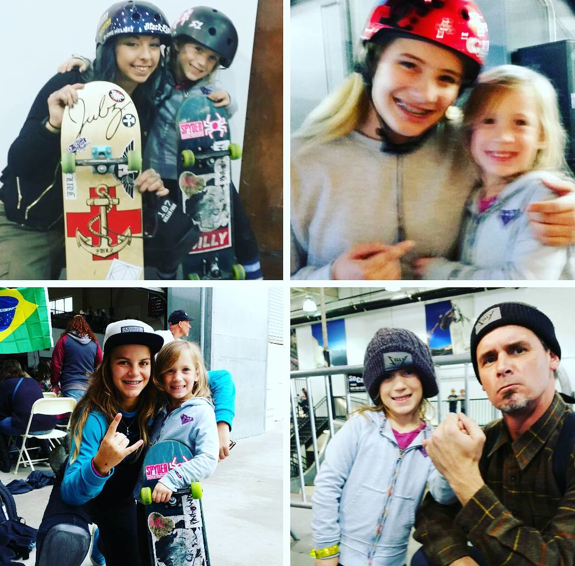 Thank you skateboarding and thank you to everyone who helps inspire, support and show girls skateboarding – more girls do skateboard as they see stylish girls skateboarding.